Ajit Isaac started as a management trainee at Godrej and then worked with the Essar group briefly before he caught the entrepreneurial bug. 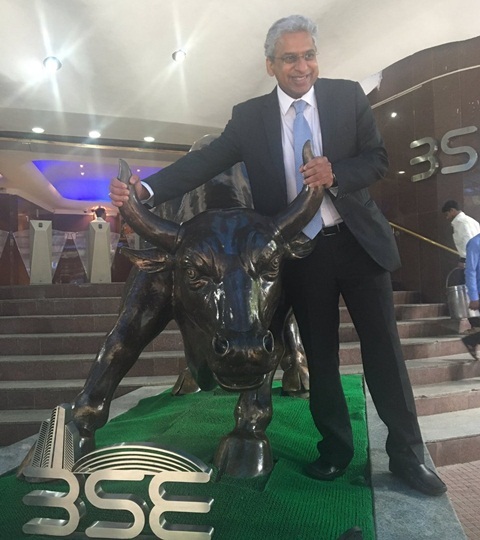 Ajit Isaac knows how to standout in India’s start-up ecosystem and build a successful company. “If you start competing with the guys with big fat cheques from private equity firms by throwing money, you have lost the plot,” he said in a recent interview. 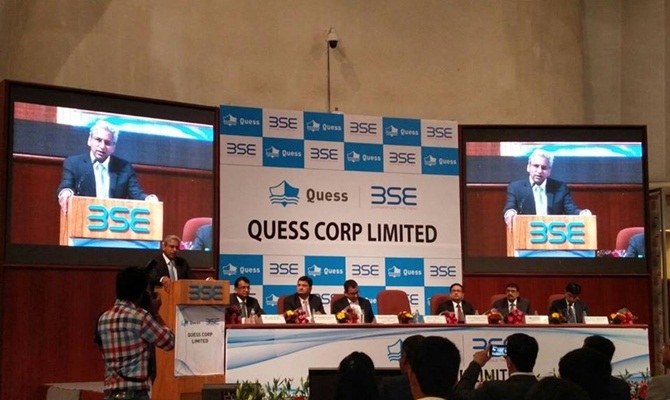 Earlier this week, when shares of Quess Corp rallied 61 per cent on the Bombay Stock Exchange upon debut, the chairman and managing director of Quess left no doubt that his strategy was working. Instead of chasing big money from venture capital funds to fuel growth, Isaac has been focused on building friendships and a work culture that promotes employee happiness as well as a sense of loyalty to the company. The total investment into Quess since it was founded seven years ago has been less than Rs 200 crore (Rs 2 billion) so far. Isaac, who has his roots in Chennai where his father worked in Dunlop, started as a management trainee at Godrej and then worked with the Essar group briefly before he caught the entrepreneurial bug. In 2000, when the tech boom was starting to take off, he introduced the concept of temp staffing in India with People One Consulting. He would place people on short term roles in multinational companies which were setting up their operations in India. J P Morgan was one of the investors in People One and it got five times returns in just four years after Swiss staffing firm Adecco acquired the company in 2004. 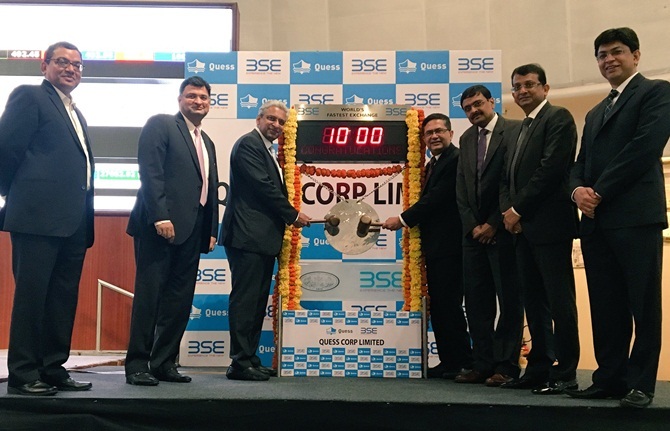 In 2009, Isaac promoted Ikya Global, now Quess Corp, with investments from India Equity Partners, whose stake was acquired by Hyderabad-born billionaire investor Prem Watsa. In the new avatar, Quess widened its offering to include asset management, logistics and facility management besides recruitment. In the process, Isaac acquired 10 companies to bridge the gaps in Quess’ offerings. He likens his entrepreneurial journey to the gold rush in the US. “In the gold rush, most of the money was not made by the gold miners, but the transporters. Those were the services guys and (here) we are the services guys,” he says. Today, Amazon’s biggest delivery workforce is with Quess; it has over 8,000 people across India shipping goods for the e-commerce platform. 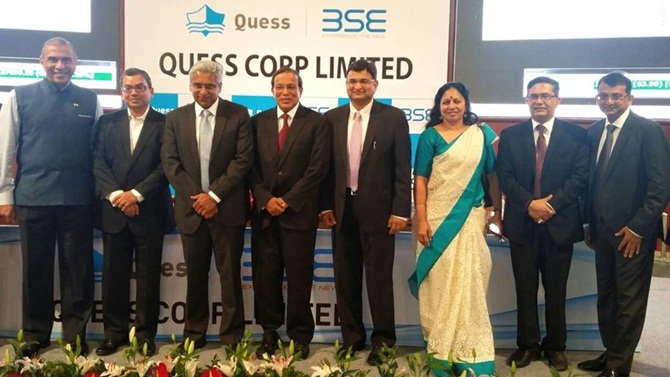 The entire ground sales force for Samsung is also provided by Quess.